One October morning our first consignment of paelleros arrived on a palate from Valencia and Vamos Paella was born. We started off catering at food markets and festivals and haven’t looked back. Over the years we've worked with a number of partners, from marquee companies to photographers, bands and florists. You'll find the companies we recommend on our partners page. We're nominated caterers and preferred suppliers at a number of venues all over the country. 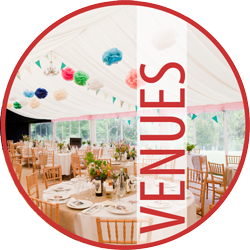 Have a look through our venues pages to see where we've catered. We often get asked where we source our ingredients. All our fresh produce comes from local, ethically sourced suppliers. Our Spanish produce - our cured meats and cheeses, Calasparra rice, saffron, ñoras, pimenton dulce and olive oil - comes from Brindisa, based in Borough Market. 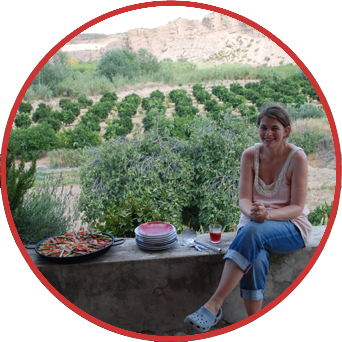 Sylvia Lamb: 'Vamos Paella catered for my 60th birthday party which was at home with around 75 people. All the guests were full of praise not only for the three delicious paellas but also for Kathryn and Luis who were helpful and friendly. Vamos Paella was set up by Melissa in 2011. After spending years of living in Spain, we decided to become paella caterers here in the UK. We're nominated caterers and preferred suppliers at a number of venues all over the UK. See where we've already catered. We often get asked where we source our ingredients. You can find out more about what goes into our tapas and paellas on our suppliers page. Over the years we've worked with a number of other suppliers. You'll find the companies we recommend on our partners page. We're serious about health and safety: our food hygiene rating is 5; we are fully insured for up to £10m; our gas burners are fully certified.